Newly released this May 2016 from Duke University Press is Harris Solomon’s Metabolic Living: Food, Fat, and the Absorption of Illness in India (available here.) In this text, Solomon takes an environmental approach to obesity as a global problem, drawing on ethnographic fieldwork in Mumbai, India. Rather than reading obesity as the result of the exportation of Western diets and food items, the author addresses food, fat, and the body as ‘porous’ with the city and the state. Obesity and diabetes, Solomon argues, are a matter of “absorption” between bodies and the environments in which they operate. Clinics, social service offices, food companies, markets, and kitchens exist between the domains of the body and the state: sites at which the relationship between the individual body and the larger societal structures emerge and develop, altering local experiences of obesity, food, and metabolic illnesses. This text will interest medical social scientists and scholars of medical humanities interested in the intersections between urban life and human health, and between the environment and the body. About the author: Harris Solomon is Assistant Professor of Cultural Anthropology and Global Health at Duke University. 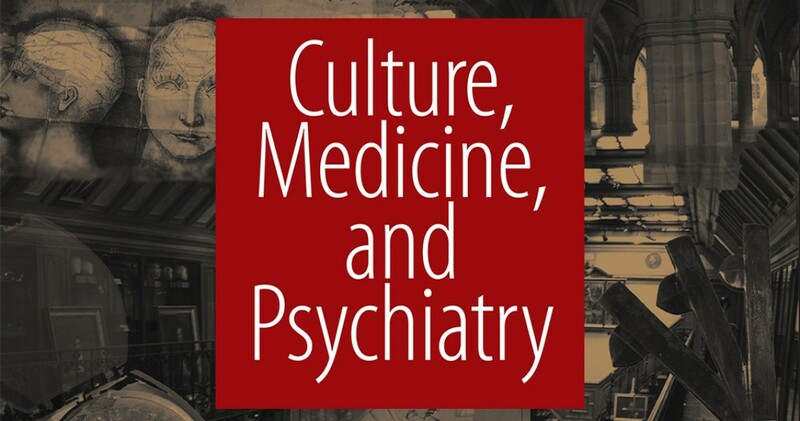 With each new issue of Culture, Medicine & Psychiatry, we feature a series of blog posts that highlight the latest publications in our journal. This September’s issue features articles that address psychiatric conditions and the experiences of people with mental illness across cultures. The articles span studies in India, the United States, East Africa, Iran, and Belize. Readers may access the full issue at Springer here: http://link.springer.com/journal/11013/39/3/page/1. In this issue highlight, we will explore the emergence of public discourse about mental illness, suffering, and political struggle in Iran. Behrouzan’s study began upon noticing young Iranians discussing mental illness in blogs and in public forums in the early 2000s. At the same time, the author examined unpublished public health records maintained by the state, and noticed that there was a sharp rise in the prescription rate of antidepressants in the mid to late 1990s. This pattern correlated with a shift in the understanding of suffering: during the Iran-Iraq war of the 1980s, PTSD and anxiety disorders were considered the most pressing mental health concerns, but these illnesses became supplanted by a shared culture of loss and hopelessness amongst young Iranians in the period following the war. Unlike the narrative of depression in other places, however, Behrouzan found that the Iranian category of depreshen held deep political meanings. The illness category reflected the condition of those unable to publicly mourn for friends and family who may have been executed as political prisoners, or to process grief about continued political unrest that seemed to have no resolution, or to understand the loss of a parent during wartime as a young child. As one Iranian blogger described, “our delights were small: cheap plastic footballs, cartoons and game cards… But our fears were big: what if a bomb targets our house?” Thus depreshen becomes an experience of suffering that reverberates throughout a generation. However, Iranian psychiatry responds to this condition outside of its cultural context, and continues to treat depreshen as an individual patient pathology that can be understood in biological terms. By biomedicalizing depreshen in this way without understanding its connection to political struggle, Iranian psychiatry minimizes suffering and “takes away subjects’ abilities to interpret and/or draw on their pain as a political resource.” When we interpret depreshen from the perspective of patients, therefore, we gain a nuanced view of suffering that is at once culturally specific and politically powerful. 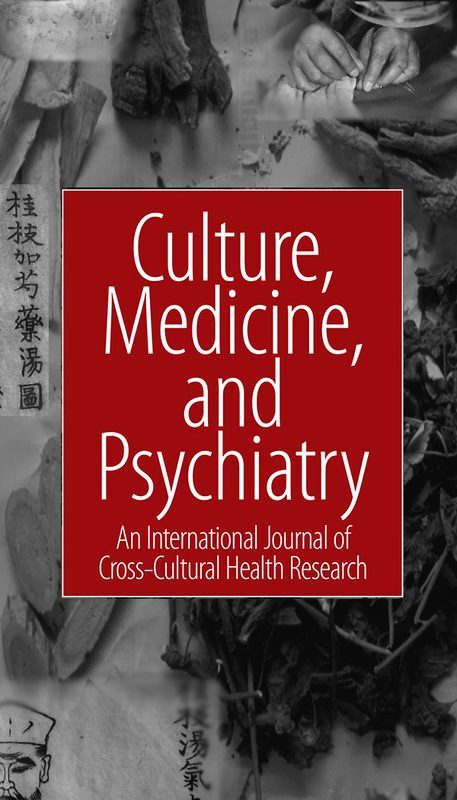 The newly released June 2015 special issue of Culture, Medicine & Psychiatry addresses anthropological studies of autism from around the world, including the United States, India, and Italy. In this installment and the next entry on the blog, we will explore four articles published in the latest issue. This research spans the fields of disability studies, psychological anthropology, and medical anthropology, and touch on themes of identity, subjectivity, family caregiving, and community. Here, we will focus on two articles in this publication. Rachel S. Brezis, et al. Throughout India, there are limited social services and support networks for individuals with autism and their families. Furthermore, neurodiverse (and mentally ill) individuals have historically been cared for in private by family members in India, where they are hidden from the community and may be treated as a mark of shame on the household. However, despite these challenges, Indian parents of children with autism are increasingly seeking out professional programs that educate them about autism and appropriate caregiving strategies. One such program in New Delhi, the Parent-Child Training Program (PCTP), evidences the changing view towards autism in India. The program aims to educate parents about autism and, in so doing, encourage them to educate others about the experience of raising a child with the condition. Parents bring their child to PCTP and learn alongside them. As the first program in India to provide such training, its examination proves essential in understanding the way that various populations (here in India) are now approaching the shifting landscape of autism. Brezis and colleagues studied the PCTP to discover how the training was altering parents’ perceptions of autism and relationships with their children. They interviewed 40 pairs of parents at the beginning and end of the 3-month program, encouraging the parents to speak for five minutes without prompts regarding their child and their relationship to the child. Like Brezis et al, Sarrett also investigates Indian caregiving and parental experiences of autism, while comparing this context to autism and the family in the United States. In both cases, Sarrett asks how the home as space and place impacts the meaning of disability for people with autism. She interviewed seventeen caregivers in Atlanta and thirty-one in Kerala, and observed seventeen families in Kerala and five families in Atlanta who had also participated in interviews. Sarrett concludes that though there are some similarities in the constellation of autism-specific and biomedical services that may be available to Keralite and American families, the arrangement of households themselves drastically changes the way autistic children are cared for in each location. In Kerala, for example, mothers serve as both full-time child caregivers as well as domestic laborers, often spending long hours washing clothes by hand and cooking from scratch. Keralite children with autism have few interactive toys that are specifically geared to engaging them, few devices that may control their movements and behaviors (such as baby gates) or assist them in communication (such as an electronic device that voices requests for food or other needs.) Such tools are common in Atlanta households. However, they have consistent household care from mothers who manage all domestic labor with no outside employment. In sum, these tools are designed to change and improve the behavior of the child. The home itself is structured to be a therapeutic space: requiring material and financial resources that Keralite families do not have to physically adjust their households. Instead, Keralite families focus not on improving or altering an autistic child’s behavior, but rather emphasize consistent caregiving for the child. In both cases, however, parents are committed to creating an environment (be it material or social) in which a child with autism can be integrated into the activities of the household, and thus into the family’s social world. Despite cultural, and certainly resource, differences between Indian and American families, they share a common commitment to building home support systems for their developmentally disabled children. In the “From the Archive” series, we will highlight articles published throughout the journal’s history. We look forward to sharing with our readers these samples of the innovative research that CMP has published on the cultural life of medicine across the globe. The authors posit that caregivers for those with dementia are important providers of structure: they are responsible for the patient’s hygiene, diet, and medical needs, as well as accountable for the actions of people who, experiencing symptoms of dementia, sometimes act out in ways which are not consistent with public cultural norms. Typically in India, such care falls into the hands of younger relatives. Domestic caregiving by these family members “prevents the demented body from threatening the stability of the social body.” There are tremendous “social anxieties,” the authors write, surrounding the potential for someone with dementia to resist normative behaviors per the local codes of social life. The Foucauldian stream of thought here is quite present: the caregiver must “discipline” the body of the dementia patient to reinforce the cultural codes of the society in which both actors live. Although there exists the notion of seva, or the submission of younger relatives to the direction and advice of older relatives, this idea of the respected and powerful elder is complicated in the face of dementia where the power to attend to another person is rather reversed. Instead of being disciplined by the familial patriarchs or matriarchs, younger relatives must both discipline the elder who is unable to provide the social structure for themselves, as well as their own bodies by taking on new routines and practices to accommodate their family member with the illness. Power, however, is still bi-directional: those with dementia have extraordinary power in altering the routines of their familial caregivers, and even act out violently: the authors note they may “kick, hit, punch, bite, and threaten with a weapon” when they are upset, and are not necessarily expected to limit these actions on their own due to their condition. The transactions of power, agency, and authority in these relationships are resonant with similar social exchanges as explored via the Foucauldian lens in other Western settings. Brijnath and Manderson’s piece highlights important features in the care of dementia patients, and demonstrates that community-based models of caregiving for the elderly are not as simple as the removal of power from the elderly individual and the installation of authority in the caregiver. The caregiver, too, is both self-disciplined and disciplined by the acting out of their ward. 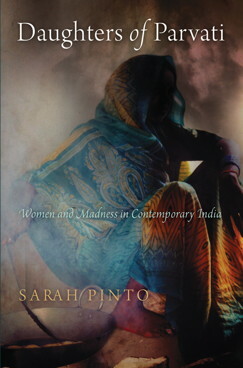 Released earlier this year, Sarah Pinto’s book chronicles the experiences of women at a number of different psychiatric care institutions throughout Northern India. Pinto questions the poor treatment of female patients, the licensing process for mental health caregivers in these settings, as well as the overprescription of psychoactive medications to Indian women. Pinto pays close attention to the ways women in particular experience difficulty and distress as the primary caretakers of their families and households. The goddess Parvati, whom the book is in part titled after, represents intense love for someone far away that borders on, and becomes, a form of suffering. Pinto invokes the name of this figure as a way to remind us of the mental strain that familial love can cause, especially for the Indian women at the heart of her moving ethnographic account. These brief summaries are intended to give our readers a glimpse into the newest academic publications that we’re excited to discuss in our journal and with our followers on social media. For a full list of books that have been submitted for review at CMP, click this link: http://link.springer.com/article/10.1007/s11013-014-9383-x. This page also has information regarding the submissions process for authors who’d like their academic releases reviewed in the journal, as well as information for those interested in composing a review. For more information on this process, please contact managing editor Brandy Schillace.